How did the Interior Minister consider the protest? The Ministry of Internal Affairs issued a strong reaction yesterday regarding Saturday’s protest held by the opposition in front of the Prime Minister’s office and Parliament. 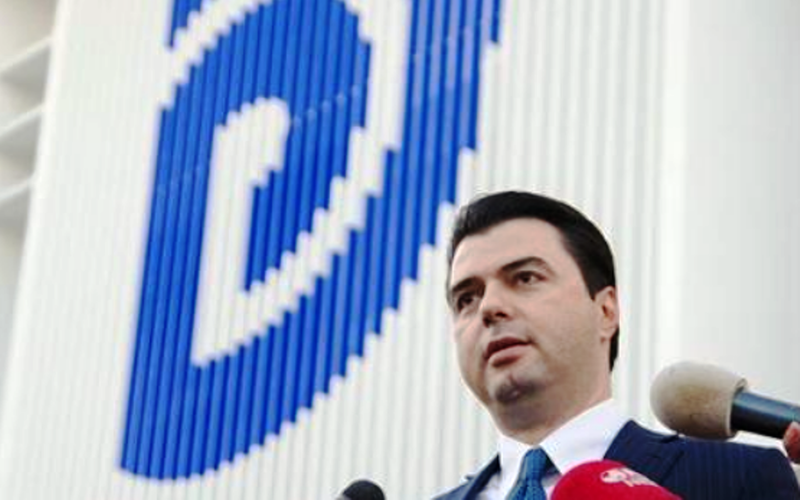 The head of this ministry, Sandër Lleshaj said that the way this protest was held was a serious violation of the law. According to him, actions carried out by protesters had serious consequences. 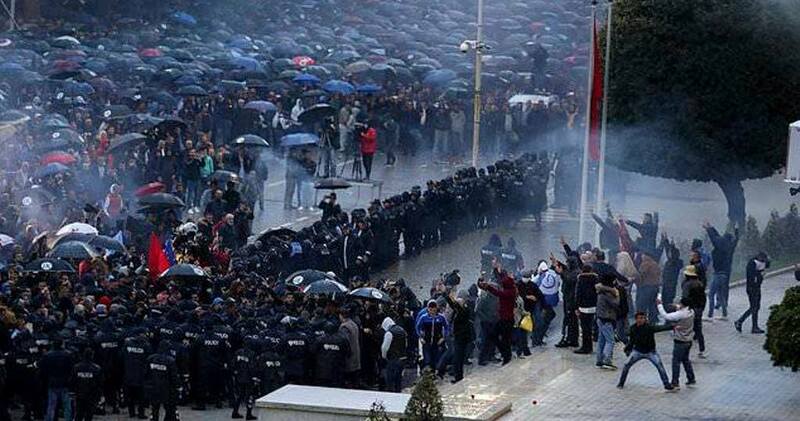 “Tirana and Albania saw a violent, unlawful and dangerous demonstration. The latest protest was a serious violation of the law. The number of participants was smaller, but there was more violence and this shows that the organizers were desperate. There were more people with masks and this made the protest more dangerous”, Lleshaj said. The minister also launched a number of accusations. “The way the location of the demonstration was changed lead to serious consequences, involving many people who were not part of it, while causing damages to businesses too”, he also said. According to him, organizers had not taken any measures to guarantee a normal protest. “It was clear that organizers made sure the protest turned violent and attacks were launched against constitutional institutions. They did nothing in terms of security measures. On the contrary, they had set out attack plans and had hired attack groups who would perpetrate acts of violence against constitutional institutions and police forces. An entire arsenal of explosive illegal substances was used during this demonstration”, he said. According to Interior Minister, instead of focusing its efforts in the fight against crime, police had to be deployed to handle an illegal protest. 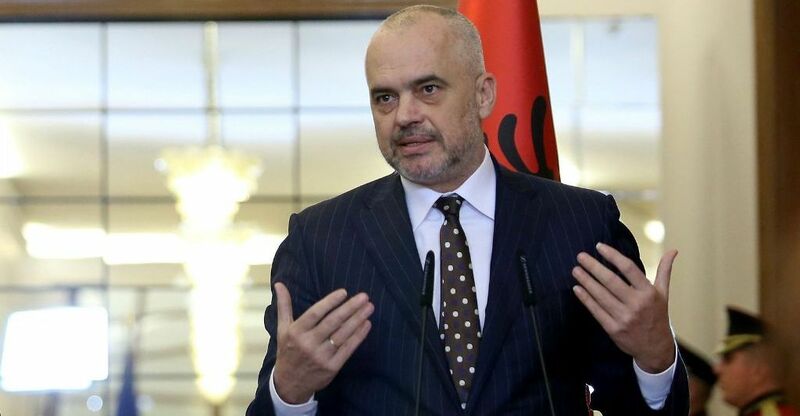 Prime Minister Edi Rama has praised the way police acted during the latest opposition protest. According to him, police were highly professional and tolerated no acts of violence in this demonstration. “State Police showed a high level of professionalism, while those who attacked police showed that this is another reason why every honest citizen of this country should abandon the opposition’s protests”, Rama said. Meanwhile, in a previous reaction made yesterday about the opposition’s protest, he also posted a photo of the way the external walls of the government building were being cleaned following the paint sprayed by the opposition’s protesters. The Democratic Party continues to insist on the idea that people want to realize their European dream and that no compromise can be made with this dream. This was declared yesterday by the leader of the Democratic Party, Lulzim Basha a day after Saturday’s protest of the opposition in front of the Prime Minister’s office and Parliament. The opposition leader issued a statement about this protest saying that this marks the end of a “criminal government”, considering it as the biggest threat for democracy and security in the country. “This marks the end of a criminal government which has been caught red-handed by stealing elections. This is the biggest threat to democracy, security and wellbeing”, he commented, adding that “there’s no compromise with our dream of making Albania like the rest of Europe, a country which holds free elections and which has a free economy and judicial system!”. On the other hand, he also added that the “criminals that govern us today” belong in prison. “We will be on the side of common people who have risen against this criminal government, who has stolen from them, who has destroyed democracy and the rule of law and who is also threatening Albania’s European future! There’s no other solution but to overthrow this criminal government. The heads of this criminal gang belong in prison!”, was another message of the democrat leader, who insisted that opposition will continue its action until the current socialist government is toppled.